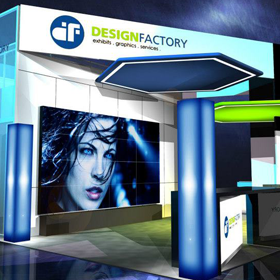 Since 1999, the Design Factory has been providing trade show exhibits to a large variety of businesses. 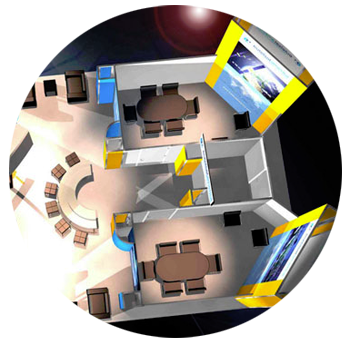 Our trade show booth solutions take you from concept to creation. 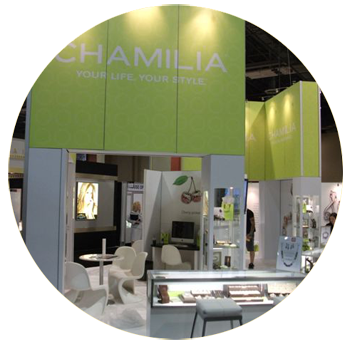 Buy or rent trade show exhibits from the Design Factory to stand out at your convention. Trade show exhibits don't have to be boring and drab. Our creative designers start with an idea and run with it. Spectacular graphics and design make one of a kind trade show exhibits that highlight products, services, and businesses in a big way. From start to finish, our innovative services take care of all your trade show and convention needs. We set up and take down so there are no worries on your part. 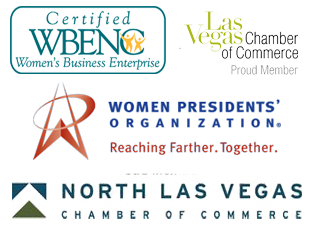 Located in Las Vegas, Nevada, the convention capitol of the world, we make it convenient and easy. Come to your convention knowing your trade show booth will be meticulously handled with care. 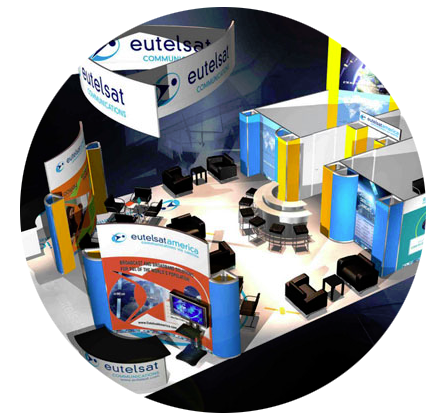 The trade show exhibits we provide range from small booths to two-story extravaganzas. We provide all the extras and details needed for trade shows including: flooring, displays, banners and banner stands, furniture, lighting, racks, shelves, and pedestals. If you are not sure what kind of booth will work best for your business, renting trade show exhibits is a great way to try before you buy. 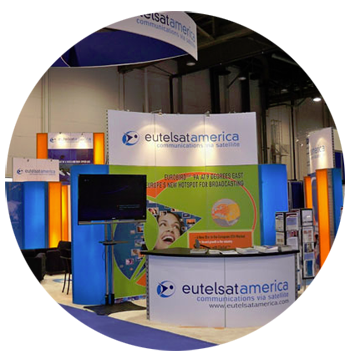 Your custom trade show booth will be created with the same dynamic design as buying. Every convention you attend can have an exhibit that is different from before. It’s a great way to change things up for new products, services, or branding. Better yet, you don’t have to worry about transporting or storing your booth.